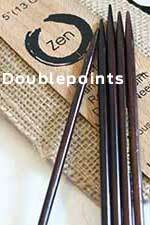 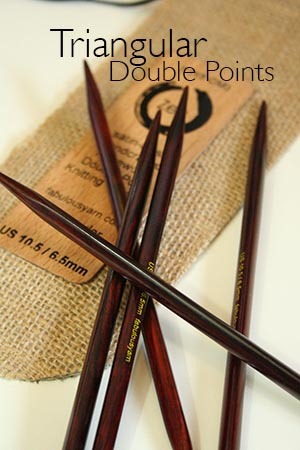 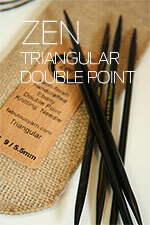 Beautiful double point sets (5 needles per set) in both Rosewood and Ebony. 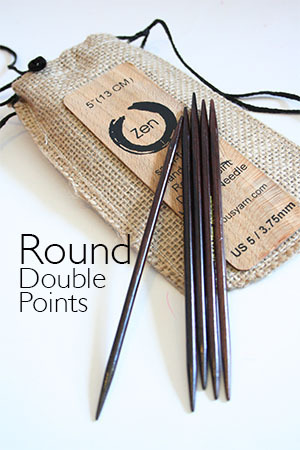 Available in both traditional ROUND shape in 5" and 7" lengths, or our brand new, exclusive Triangular Version in 7" length, these beautifully hand-polished double point needles will serve you well for years to come. 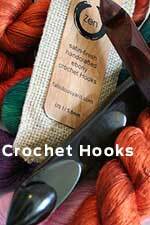 Packaged in a protective, recycled burlap case, these needles can go everywhere that you do, and are great for projects as small as a newborn baby hat (use the 5" lengths) to sleeves and legwarmers. 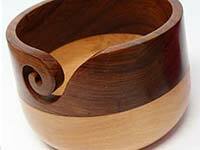 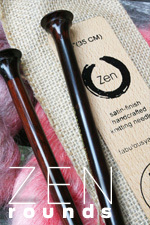 Soft to the touch, warm, natural wood, with a beautiful finish, and a just-right point, these are amazing needles that will love your fingers! 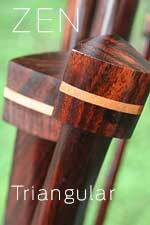 Warm, beautiful Rosewood double points feature some grain, and a mahogany red color. 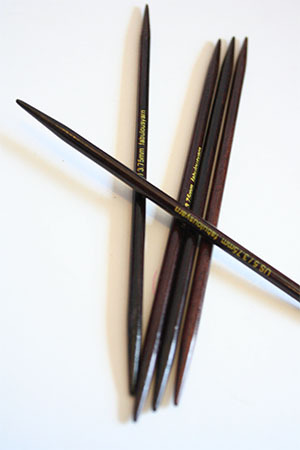 Ebony needles are a soft, beautiful dark, almost black, brown.